Areli and Lily are a beloved mother-and-daughter team here at AVANCE-Austin. 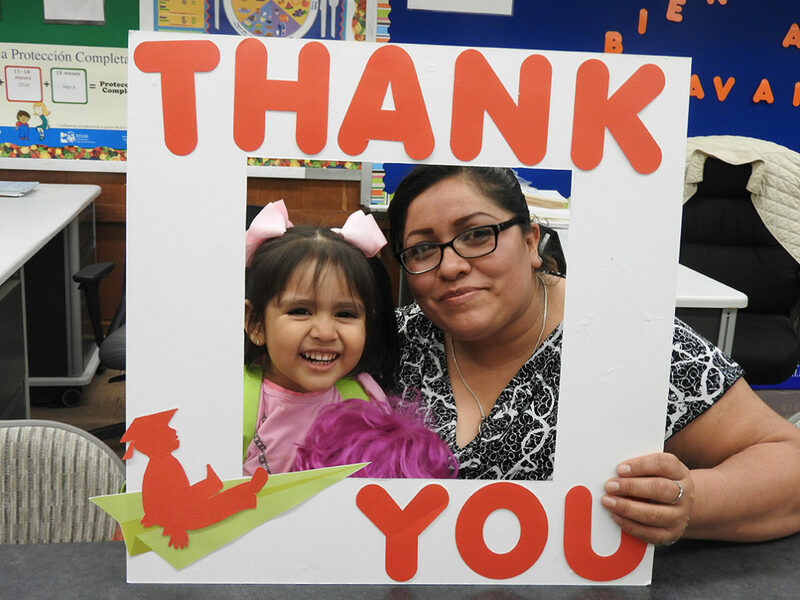 Areli is a quiet, affectionate and determined mother who saw AVANCE’s program as a rich educational opportunity for her vivacious, effervescent toddler, Lily, and herself. Areli initially decided to enroll in AVANCE because she feared Lily was too isolated. Areli works long shifts and was concerned about Lily’s shyness and lack of socialization with children her own age. 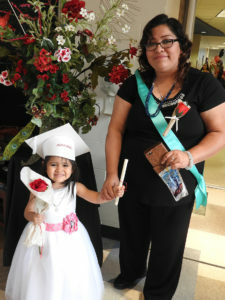 During AVANCE’s program, she was overjoyed to see how Lily flourished. Now, Lily socializes easily with her peers and adults, and her communication capabilities have vastly improved. Witnessing the positive change in Lily served as the motivating force behind her weekly decision to attend class. Areli would finish her late-night shift at a restaurant, squeeze in a few hours of rest before waking before dawn to take her oldest daughter to school, and then commute from the far north side of town to AVANCE’s eastside campus. The significant commute and lack of rest was worth it to Areli. AVANCE’s emphasis on incorporating play into a home routine has drastically bettered her relationship with Lily. She admitted to not playing with Lily when she was younger, mostly because she was exhausted from work. Now, no matter how tired she is, she makes time to engage in play with her daughter because she understands how precious and valuable this early time is for her child. She seizes every opportunity – even those few minutes of play – to encourage and embolden her daughter to succeed. Lily will continue to succeed because she has a mother who, despite a busy work schedule, and the challenges of single-parenting, made her daughter’s optimal rise her priority, and this act of selfless love affirms Areli to be the best teacher and life-model for her daughter.